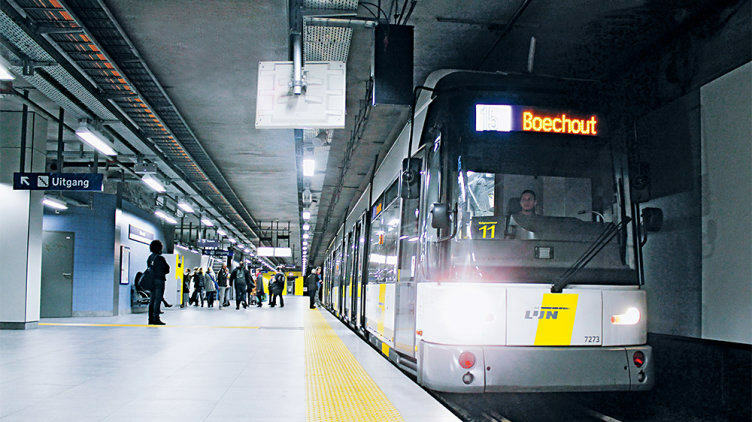 Every year transport operator De Lijn carries more than 500 million passengers in and around Antwerp. Some of the railway control systems of Antwerp’s metro network are beginning to show their age: The software-based automation system PSS 4000-R(ail) is replacing the obsolete technology and is more reliable, more powerful and more efficient. The technology is being changed over on a modular basis, minimising disruption to ongoing rail operations. Three metro lines meet at what is known as the Triangle, right under the heart of the city of Antwerp. 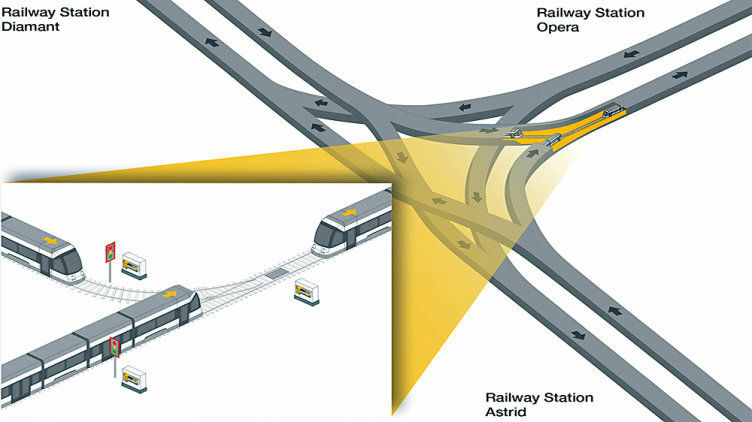 Control and monitoring systems ensure that only one train can enter the station at any one time. The old technology was proving increasingly susceptible to faults, so action had to be taken. The PSS 4000-R has been handling the control and safety tasks since 2015. If two trains arrive virtually simultaneously, the automation system decides which has priority. 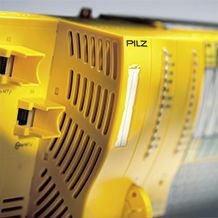 As well as points and light signals, PSS 4000-R also controls and monitors the sensors and detectors located in the track bed that are responsible for keeping two trains at least a minimum distance apart. 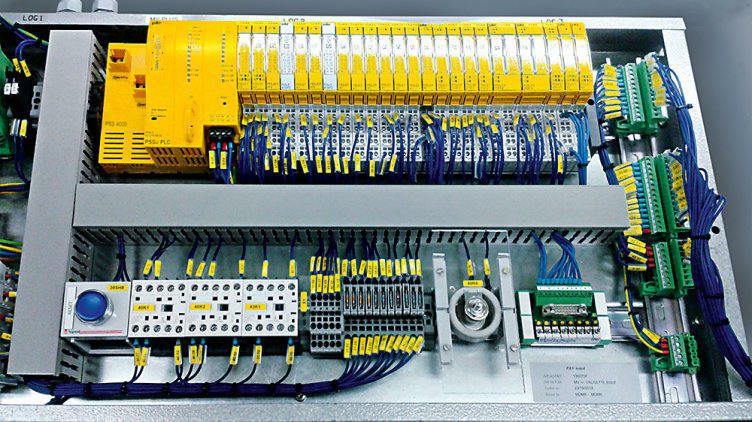 All the measures can be implemented step by step without having to interfere with the electrical engineering infrastructure of points nodes, signal technology and control cabinets. The technology is highly standardised, making it easy to implement individual adjustments to specific tasks. De Lijn is a Belgian regional passenger transport provider in the greater Antwerp area that carries more than 500 million passengers every year. The transport operator runs an extensive bus network as well as several trams in the Flemish provinces in Belgium.